By the latest count, there are 241 Spine Companies selling Spinal Implants in the United States. While some companies have unique products, most revolve around a predictable array of implants such as Pedicle Screws, Rods, Interbody Cages, Plates and so on. So, how can a Spine Company truly stand out in this highly competitive environment? Lets start with the Spine Rep. The Rep is the obvious connection between the Company and the Surgeon. As such, he/she literally carries the Company's Logo on their back. A Surgeon looks at a Spine company from basically two perspectives: 1. The Company 2. The Product. a. Spine patients are by and large a difficult population to deal with. Chronic Pain patients can wear you down. Essentially, the majority of patients are either acutely or chronically depressed and just not happy people. Most Surgeons will tell you, that their operating days each week are their only happy times, while the clinic is not. b. Despite all the wonderful technology, at the end of the day the outcomes are often a toss-up. Your hardware placement is picture-perfect, yet you walk in the Exam Room and the patient is miserable. Over time this creates a feeling of apprehension and uncertainty each time you see a post-op patient. c. Even though your OR day is your favorite day of the week, everything that is not part of the Surgery itself can be a pain. Your cases get cancelled, delayed, your favorite OR Tech is out, the Room is not set up correctly, and on and on. So, when you finally get to operate, you just want to enjoy it and have everything go your way. This is one of the reasons why Surgeons sometimes get irate over small things. I could go on and on. The point is, that Spine Companies need to have a really good understanding of their #1 customer, which is the Surgeon. This understanding has to be formally taught to the Reps in the field. To go even further, the Rep should take notes about each individual Surgeon, not just their general likes and dislikes in the OR, but their personality traits, strength and weaknesses. Generating this sort of psychological profile may seem a bit extreme, but there are some really good reasons to do so. At the end of the day, the ideal Rep is more than just a technician. The ideal Rep is the Surgeon's advisor, advocate and yes, even friend. Why friend? Well, being a Surgeon is a lonely job. You often feel that there is no one out there who understands what you go through and how many burdens you carry. Having a Rep who not only is an expert with his instruments, but is actually on your side at all times and looks out for you beyond the OR, is irreplaceable. So, is the Spine Company he/she represents. Ideally, Spine Companies could have a Psychology Consultant as a team member. This Consultant can teach a formal course to each Rep about Spine Surgeon psychology and be available to help interpret Surgeon behavior and guide the Rep how to understand and improve the relationship with the Surgeon. This is a low cost project with some real potential benefits. 2. Train you Reps to be "Mini Spine Surgeons"
A Rep has to have credibility beyond the product they represent. Knowledge of every item in your tray is not a plus, it is expected. However, so is a good understanding of not just every step of the Surgery, but also the disease process, symptoms, other treatments, etc. Some Spine Companies have changed the Rep's title to "Spine Specialist", etc. to begin to change the image. While this is laudable, it needs to be backed up by in-depth knowledge. a. Reps need to be formally taught by Spine Surgeons about everything which leads up to the Surgery, transpires during the Surgery and the Recovery. They should go through a formal course syllabus and cadaver labs, all taught by a consultant Spine Surgeon. b. The training must include interpretation of X-Ray, CT, and MRI information. This is one of the keys. This is one of the areas where Spine Reps lose their credibility. A Surgeon expects at least a basic knowledge of Radiology Image interpretation. c. In the cadaver lab, they should learn to actually do the Surgeries they support. Only then will you get an in-depth understanding of your instrumentation and any potential issues. Reps should have this type of training on a recurrent basis to learn by repetition. 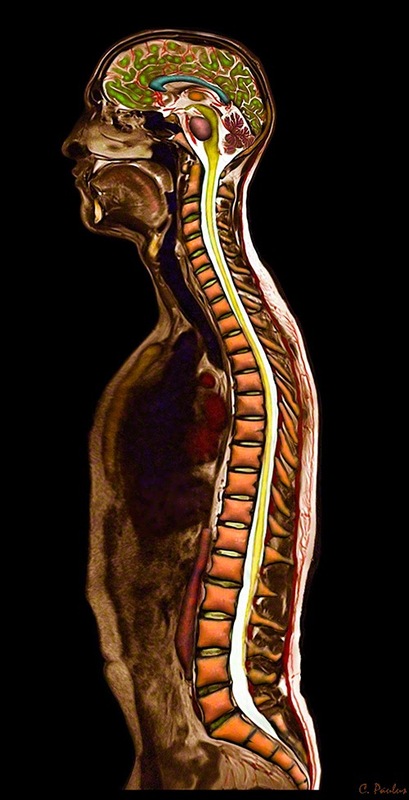 d. Formal tests should be given on recurrent basis about anything from Spine Anatomy to Physiology, Disease Processes, Surgical Indications, and Surgical Technique. e. Reps should go to Clinic if at all possible. While this requires are really good relationship with the Surgeon, it can be a huge step forward. Reps can see and learn from surgical outcomes, potential implant issues and complications. They can also learn about the disease process and surgical decision making. f. Reps should receive a formal certification as a "Spine Specialist" once all the steps of the training are completed, and tests passed. This also helps the Reps self confidence and self perception which an help with retention and productivity. a. Patients gain some reassurance that a specialist from the Company helps the Surgeon. b. Reps can help to reinforce a positive Image of the Surgeon. c. Surgeons often appreciate having another friendly face in the office. d. Reps can help answering patient questions about the Implant. This can save the Surgeon some time. e. Having a Company Rep present during a post-op appointment can reassure patients about a positive outcome, which in turn helps the Surgeon. Based on X-Ray, CT, and MRI, the ideal length and diameter of each Pedicle Screw at each Spinal level can be measured. The angle of the Pedicle can also be measured from the MRI. This would create a Blueprint for the OR, and take out the guesswork. The angle of the Pedicle can also be measured from the MRI. Based on the preop lateral Spine Image, measurements of the ideal lordotic curvature of the Rod can be made. So, dealing with DDD at one or two levels, the ideal lordosis within these segments can be measured based on the existing lordosis above and below these levels. For pre-bent rods, this helps choosing the ideal rod. If the Surgeon bends the rod, you can give him the proper curve, which can be measured with a simple lordotic angle tool. Obviously, this becomes more important with longer fusions, scoliosis corrections, etc. Having an ideal surgical lordosis can theoretically help the biomechanics of the adjacent levels, especially the facet joints. Measuring the disc height above and below the surgical levels, and knowing the proportion in size between the different levels, allows you to chose a narrow range of ideal interbody implant sizes. This can prevent "overstuffing" a cage or a loose implant due to undersizing. With regard to ADR's it can spell the difference between a well moving and functioning Device and one which becomes a surgical "Pseudoarthrosis". It is embarrassing to show a patient a postop flexion/extension view which does not show motion of the implant. These measurements can be very helpful to a Surgeon and make for an ideal post-op film. After all, Surgeons often judge each other by the appearance of their hardware. This also feeds into knowing and understanding Surgeon Psychology. There is a fine line between displaying confidence and professionalism with regard to representing your product, and becoming a nuisance to the Surgeon. After all Surgeons will only call on you on a regular basis if they like and respect you. The "like" part means that the Rep has to learn to stroke the Surgeon's ego in just the right way, not too much and not too little. Similarly, the respect part has to come from understanding the surgery and your product. However, you cannot contradict the Surgeon in the process. As proposed in 1. above, the display of the ideal Personality can be taught... to a point. All in all, the Rep is one of the key elements which can make a Spine Company stand out in the crowd. It is not a daunting task, but requires unique and extensive training, beyond the current standard. In the next blog we will take a look at some other elements which can help a Spine Company to rise above the others.